In Villas & Suites Las Terrazas del Cortes you’ll enjoy an unforgettable stay in one of our 6 comfortable rooms of unique design. 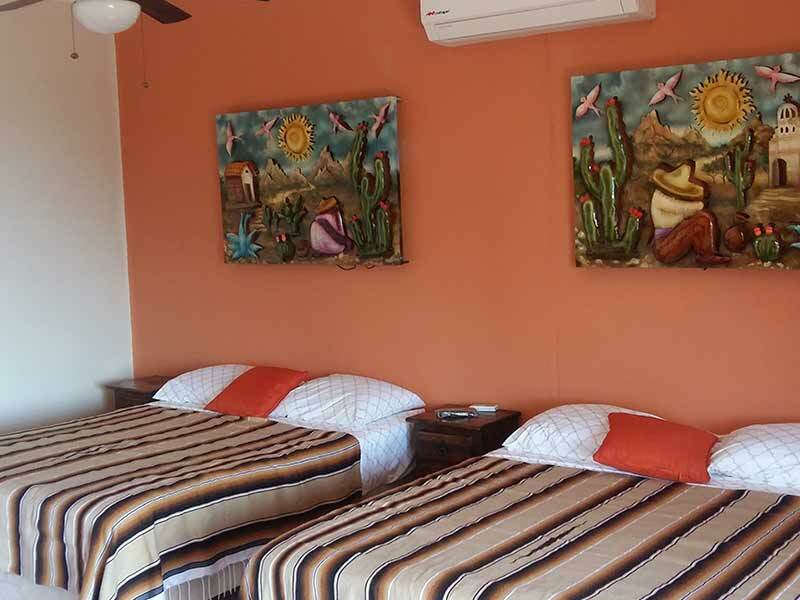 Each one of our Los Barriles accommodations is provided with colorful Mexican details, fresh spaces and essential comforts for resting and relaxing. It’s a room without sea view, located in the hotel’s ground floor, ideal for people that cannot use the stairs. Features 2 queen size beds and sleeps up to 4 adults and 2 children. This is a luxury room with sea view. It’s equipped with one queen size bed, air conditioning, refrigerator and microwave oven. Accommodates up to 2 adults and 1 child. These are rooms equipped with two queen size beds and space to accommodate 4 adults and 2 children. Feature refrigerator, microwave oven, coffee maker and air conditioning.